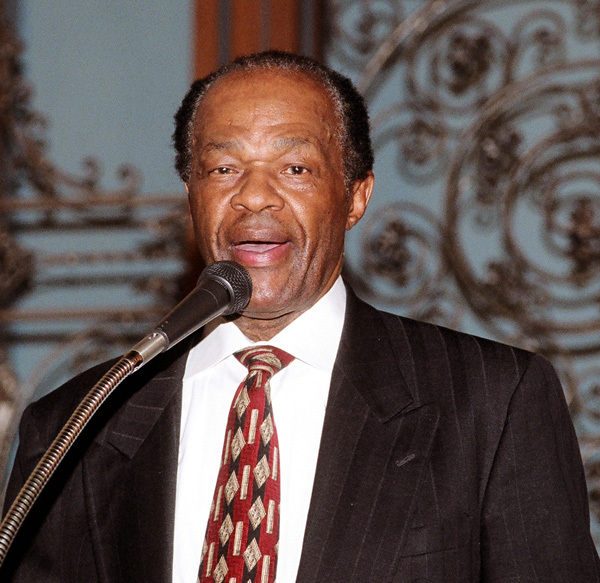 WASHINGTON (AP) -- Just after yet another decisive electoral victory, D.C. Councilman Marion Barry is once again embroiled in controversy, this time for remarks disparaging Asian-owned businesses in his poor, majority-black ward. At his primary election victory party Tuesday, Barry said: "We got to do something about these Asians coming in and opening up businesses and dirty shops. ... They ought to go. I'm going to say that right now. But we need African-American businesspeople to be able to take their places, too." His comments were first reported by WRC-TV. Barry apologized Thursday for the comments. "I want to express my deep apology for offending some members of the Asian community and the D.C. community," Barry said in an interview with The Associated Press. "I have a solid record of relationships with the Asian community." The former mayor won the Democratic primary for his Ward 8 council seat with 73 percent of the vote, all but assuring him of another four-year term. Mayor Vincent Gray, Council Chairman Kwame Brown and some of Barry's council colleagues criticized the longtime D.C. politician Thursday. A group of Asian-American lawmakers in Maryland also condemned Barry's remarks. "I am deeply disappointed by Councilmember Barry's comment," Gray said in a statement. "There is no room in this wonderfully diverse city for comments that disparage anyone on the basis of race, ethnicity, gender, religion, disability or sexual orientation." Delegate Eleanor Holmes Norton, who represents the district in Congress, said she was "stunned by the offensive nature of the comments." Norton called Barry and reminded him of the values they shared while working together in the civil rights movement, she said, adding that she was pleased that he would apologize. Barry, 76, served four terms as mayor, a tenure interrupted by his six-month term in federal prison on a drug charge. Since his return to the council in 2004, he has developed a reputation for racially charged statements. During a recent radio appearance, he said he didn't like the architectural firm recommended to build a new public high school because it was "all-white." And with Gray and Brown under federal investigation for possible campaign misdeeds, he has suggested that black politicians are more heavily scrutinized than their white counterparts. Washington has long been a majority-black city, but the white and Asian populations are growing. African-Americans made up just 50 percent of the district's population during the 2010 Census. The city is 34.8 percent white and 3.5 percent Asian. Tensions have long simmered between blacks and Asian merchants in many urban communities. Korean shopkeepers were subject to violence during the 1992 riots in Los Angeles that followed the police beating of motorist Rodney King. Barry told AP that he was wrong to single out Asians but said he was referring to merchants who don't sell healthy food and don't engage with the community or hire local residents. "We need businesspeople who'll be a part of the community, not exploit the community, give jobs to those of us in the community, and to contribute to the well-being of our community, have fresh vegetables and fruits and et cetera," Barry said. Barry, however, did not back away from his claim that some Asian-owned convenience stores and carryout restaurants don't "respect" the residents in his ward. "Ward 8 residents are spending their hard-earned dollars in these stores because they are the only stores in the immediate neighborhoods; my constituents want respect, too," he said in a statement. "It is to these less-than-stellar Asian-American businessmen in Ward 8 that my remarks were directed." Barry noted that during his time as mayor, he created the city's Office of Asian-Pacific Islander Affairs and established a sister-city relationship with Beijing. Soohyun "Julie" Koo, the director of that office, said she was glad that Barry had apologized. "Marion Barry has been very supportive of our community, so I was very surprised by his statement," she said. A coalition of more than 30 Asian organizations also condemned Barry's remarks, calling on him to "provide a sincere apology and ensure meaningful engagement with our communities."